Former Congressman Rick Boucher (D-Virginia) served for 28 years in the United States House of Representatives representing Virginia’s Ninth Congressional District. Prior to his service in Congress, he was a member of the Virginia State Senate for seven years. During his Congressional tenure he served on the House Energy and Commerce and Judiciary Committees and chaired the subcommittees on Communications, Technology and the Internet; and Energy and Air Quality. He carved out a role as a trusted bipartisan leader on telecommunications, energy and environmental issues. He was a leading participant in every major telecommunications policy debate over the past 25 years. A subcommittee that he chaired oversaw the commercialization of the Internet and its transition from a government-owned R&D project, and he authored the 1992 law that permitted the first commercial use of the Internet. He was one of two co-founders of the Congressional Internet Caucus, and served as co-chairman of the 170 member group for 15 years. His proposals to promote competition among telecommunications service providers across industry lines were at the core of the Communications Act of 1996. He authored the first Satellite Home Viewer Act and was the author of its most recent renewal, known as STELA, which contains his provision that is bringing satellite delivered local television signals to all 210 local television markets nationwide. Congressman Boucher drafted bipartisan comprehensive universal service fund reform legislation and a bipartisan bill to provide baseline privacy rights for Internet users. 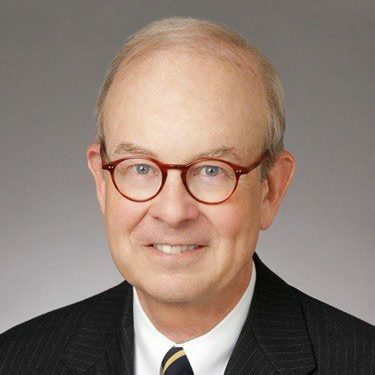 Mr. Boucher is a partner in the Washington, DC office of Sidley Austin and head of the firm’s government strategies practice group. Congressman Boucher is a graduate of Roanoke College and the University of Virginia School of Law. Prior to his election to Congress, he practiced law in New York and in Virginia. He is married to the former Amy Hauslohner, and they reside in Abingdon, Virginia. The debate over net neutrality has raged for most of this century. But today there’s a good opportunity to settle it and to stop the regulatory ping-pong that has become a dreary spectacle. Determining which rural areas in the country have broadband service poses a daunting challenge. Opportunities would arise from putting frequencies in the 2.5 GHz Educational Broadband Service spectrum band into an incentive auction. Not only could the government’s share of the proceeds be put toward closing the Homework Gap, but underutilized mid-band spectrum could fuel the deployment of 5G. With Net Neutrality Milestone Reached, What Now? Congress needs to pass a statute that protects the open internet and encourages innovation and investment — and end a protracted ping-pong match between Title I and Title II status for internet regulation. 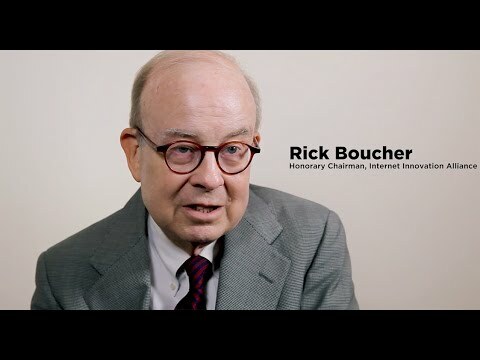 IIA Co-Chairman and former Congressman Rick Boucher discusses the need for a legislative compromise on net neutrality that involves contributions of the best ideas from both parties. California Governor Jerry Brown signed into law SB 822 that adopts a state-level net neutrality requirement for broadband providers operating in California. However well-intentioned this effort may be, it is deeply legally flawed. It also contains substantive provisions that would serve as a major barrier to broadband investment. The majority of today’s teachers routinely make homework assignments with the expectation that students will go online to complete the work. But students don’t have equal access to high-speed broadband. One straightforward way increase access to high-speed broadband is a spectrum auction to repurpose a currently-underutilized spectrum band and open up more wireless capacity for everyone, including for educational use.